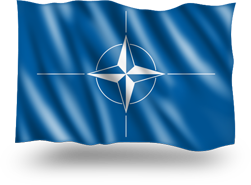 NATO has already been prominently promoting the lie that Russia invaded Ukraine and stole Crimea from Ukraine — which is thebasic lie upon which NATO is preparing to invade Russia. Swedish officials are already using that baldfaced lie in order to fool the Swedish public to accept their country’s becoming a staging area for NATO’s buildup to invade Russia (even though Sweden isn’t in NATO) as a measure supposedly to ‘defend’ Sweden and NATO countries from being invaded by Russia. Get that! Since they can’t find any realistic excuse for preparing to invade Russia, the lie that Russia ‘seized’ Crimea suffices. The most important of all parts of U.S. President Barack Obama’s foreign-policy plan to take over Russia was the one that enabled him to slap economic sanctions against Russia and that enables NATO to treat Russia as an ‘aggressive’ enemy: this is the matter regarding Ukraine and its former peninsula, Crimea, which Russia accepted back into the Russian Federation after Obama’scoup seizing Ukraine had terrified the Crimean people. Certainly, Obama’s extremely bloody coup in Ukraine isn’t known to most Americans nor to others in The West: the official line, promoted both by the U.S. aristocracy’s government, and by the U.S. aristocracy’s media, and by the media of its associated aristocracies, is that a ‘democratic revolution’ overthrew the democratically elected President of that country, Viktor Yanukovych, in February 2014. The official line is that this ‘revolution’ arose spontaneously after Yanukovych, on 20 November 2013, had rejected the EU’s offer for Ukraine to join the EU. Not part of the official line is that the U.S. Embassy was already starting by no later than 1 March 2013 to organize the overthrow that occurred in February 2014. Also not part of the official line is that the EU’s membership offer to Ukraine came with a $160 billion price tag, and so was entirely unaffordable. Yanukovych had no real choice but to turn it down. After all, The West needed an excuse to explain the ‘Maidan democracy demonstrations’ that provided a pretext for the overthrow. If one is starting on 1 March 2013 to organize a fascist coup that’s to occur a year later, then one won’t want to provide the victim (Yanukovych and the Ukrainian people) an offer that will beaccepted by him. One will need the offer to be rejected, in order to have a ‘justification’ to overthrow the victim. Such a ‘justification’ was that he was corrupt, but they didn’t mention thatall post-Soviet Ukrainian leaders have been corrupt. Another was that Yanukovych had turned down the proposal from ‘the democratic West.’ All of it was lies. 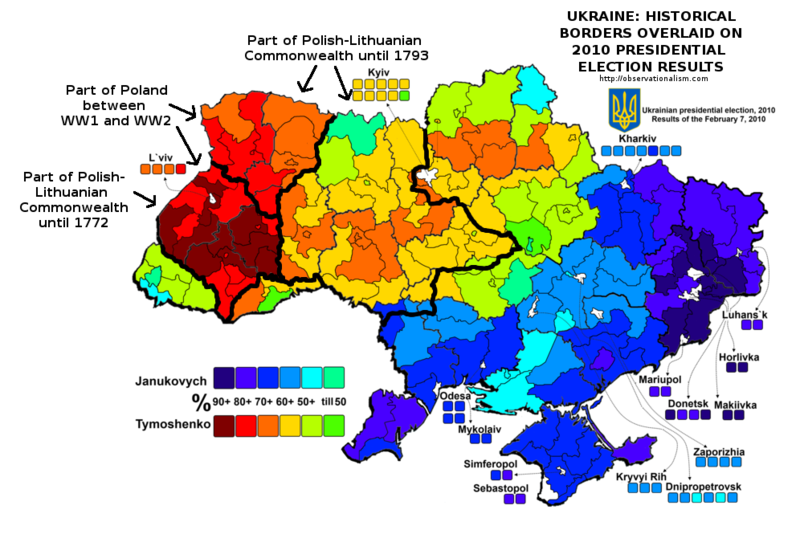 However, the people in Crimea had voted 75% for Yanukovychand had also wanted to become again a part of Russia, ever since the Soviet dictator Nikita Khrushchev in 1954 arbitrarily transferred Crimea from Russia to Ukraine. And therefore Russia — not finding acceptable Obama’s soon-to-be seizure of their naval base — supplied protection for Crimeans to be able to hold a peaceful plebiscite on 16 March 2014 in order to exercise their right of self-determination on whether to accept rule by the bloodynew Ukrainian coup-regime, or instead to accept Russia’s offer to regain membership (and protection) in the Russian Federation.